Get a quote! Click on "Types of Insurance" below for the quote you need! Sign up for News from Richardson and Deemer below! As an Independent Agency located in Athens, Alabama. 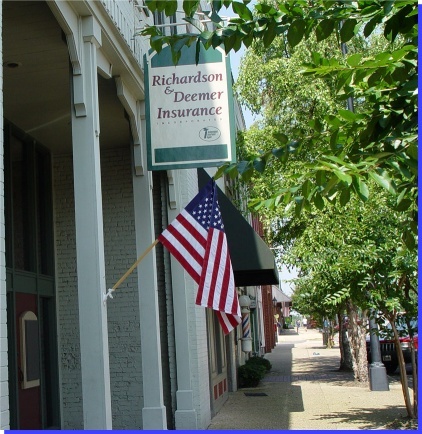 Richardson and Deemer Insurance was founded in 1921. We represent well known regional and national companies that you know and trust. Continuing our education in the insurance industry is a must at our agency. Our Agents and Representatives attend various continuing educational classes to stay informed of the latest law changes and coverages, therefore allowing us to keep you informed. It is our promise and commitment to provide professional, efficient and courteous service at all times.